As I do every weekend a new Marvel Netflix show comes out, I binge-watched the whole darn thing over the course of a couple days. I was born for binge-watching. Iron Fist is the last of the four main characters to get a solo show, building up to the united Defenders show airing in September. Marvel and Netflix have been hitting them out of the park this whole time, so how did Iron Fist hold up? I liked it well enough, despite the harsh, negative reviews it’s been getting. It was an entertaining show. But Iron Fist suffers from a distinct lack of style or personality, which the other shows had in spades. As for the race controversy, I agree that it would have been nice had Marvel cast an Asian actor to play Danny Rand. It would have been a nice step and could have added a lot to the show, while taking away nothing. But I’m not going to hold it against the show that Marvel decided to stick to the character’s source material. I’m going to judge the show on its own merits. And with that in mind, join me after the jump for my review of Marvel’s Iron Fist TV show! Expect full SPOILERS, in case you haven’t finished the show yet. Short answer: I really liked Iron Fist. It was a fun and entertaining show about a good guy superhero fighting a bunch of bad guys, with some really solid supporting characters and subplots swirling around him. But that’s all it was. I feel like the entire 13 episode season can be summed up in a single sentence, and you won’t miss a thing. Iron Fist wasn’t boring, but it was generic. And largely forgettable. There wasn’t a scene or a moment or a line of dialogue or a character who will stick with me now that I’ve finished. Compare this to the other Marvel Netflix shows and you can see what Iron Fist is lacking. Those other shows had a lot of style and personality, with important themes that permeated the storytelling. Daredevil was a gritty crime drama, with a fantastic villain and a touch of that masked vigilante magic. Jessica Jones dealt with women surviving sexual abuse, with another fantastic villain. Luke Cage was all about life in the black community, Harlem specifically, with a lot of style, music and a modernization of those old blaxploitation flicks. Iron Fist has nothing like any of that, but it could have (more on this later). Likewise, actor Finn Jones didn’t really do anything to inhabit the character of Iron Fist. The other actors — Charlie Cox as Daredevil, Krysten Ritter as Jessica Jones and Mike Colter as Luke Cage — so completely played those characters that I can’t picture anyone else in the role. I don’t feel like Jones did that for Danny Rand. He was fine, don’t get me wrong, but like the rest of the show, his performance lacked any real panache. Iron Fist is still a fine show. Enjoyable, even. When I was in the moment, watching episode after episode, I was having fun and I was invested in the story. I would gladly recommend it to everybody already following along with the rest of the Netflix Defenders. But it’s a show that lacks both style and substance. 5. Why deviate even an inch from the Brubaker/Fraction comic? I don’t require my comic book movies or TV shows to be slaves to the source material, especially if they’re adapting a specific story. But come on! 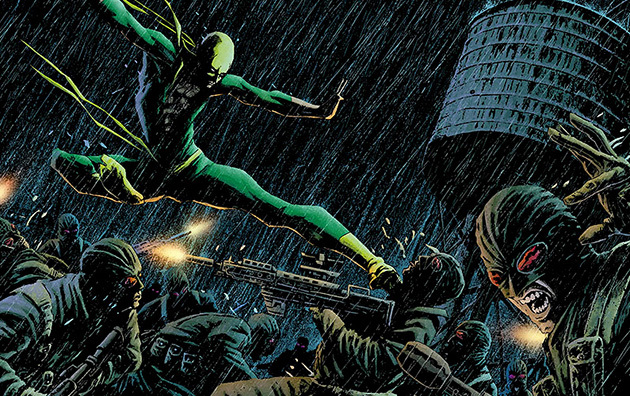 The entire reason that Iron Fist is an exciting and rejuvenated character in the 21st century is because of Ed Brubaker, Matt Fraction and David Aja’s now-legendary revamp on Immortal Iron Fist from a few years ago. Have you read it? 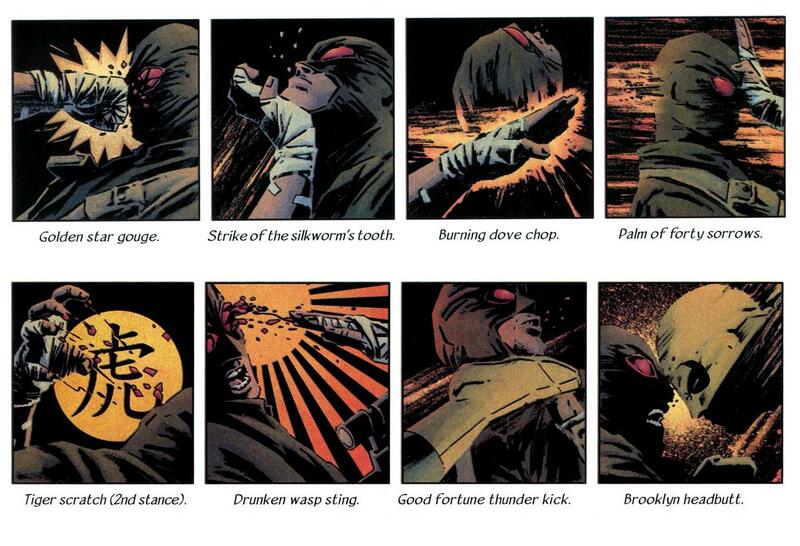 That two-volume story is amazingly good and redefines Iron Fist in so many fun and exciting ways. It is a near perfect blueprint for a season of Iron Fist. From the reveal of an entire line of Iron Fists, including Orson Randall, to the fighting tournament in the Heart of Heaven; there’s your season of TV. So why deviate at all from what those creators lined up? Why make Danny fully aware from the beginning of the long line of Iron Fists? Why make Davos into Danny’s friendly rival instead of his father’s? Why waste the Bride of Nine Spiders like that? Why not reveal Madame Gao as Crane Mother after all? Granted, that Immortal Iron Fist comic is built on the idea that Iron Fist had been around for awhile, and it would probably make a better second or third season than a first season. But that comic had all the energy and style that the Iron Fist TV show lacked. 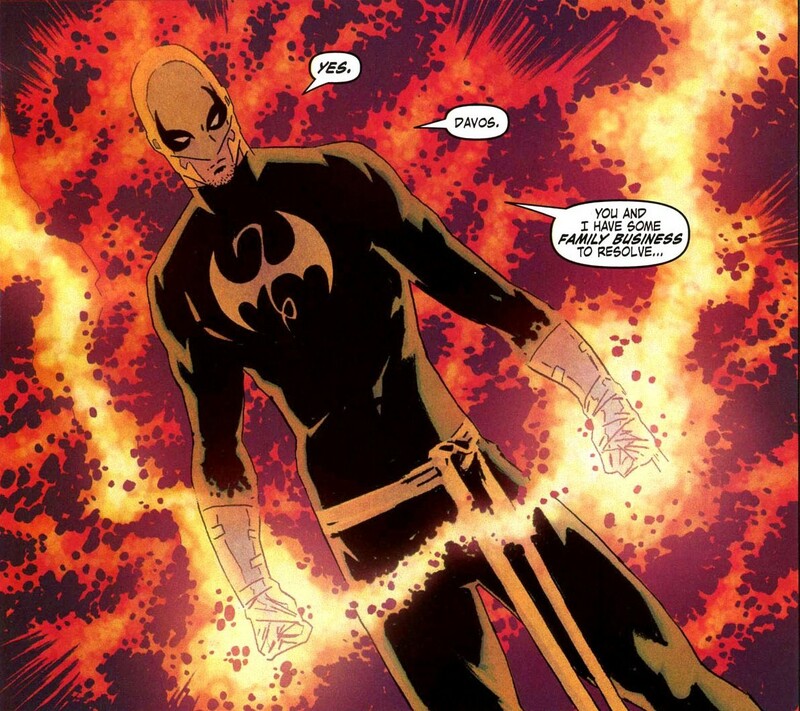 Another thing that Iron Fist comic introduced was a modern, more realistic costume for Iron Fist. And the show should have used the damn costume! What the hell were they afraid of? 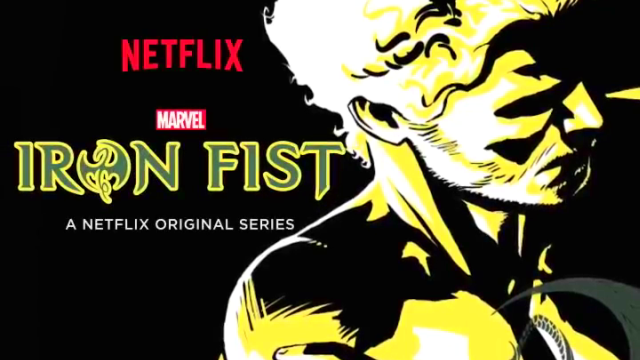 What possible reason could they have for not, at the very least, putting Danny Rand in the iconic Iron Fist mask? They’ve already gone full costume with Daredevil. And Iron Fist doesn’t need some armored look. Slap him in a tight green T-shirt, add some cool bandages around his hands, and then tie on that awesome yellow mask. Boom, there’s your comic book Iron Fist. Heck, the show even sort of used the costume in that grainy footage of the WWII-era Iron Fist. Look at how perfect this mask looks! Finn Jones’ curly blonde hair was certainly striking, but Iron Fist the show could have benefited from the comic book energy of a proper costume. That lame chest tattoo didn’t cut the mustard. This was the biggest failing of the Iron Fist show: a lack of great martial arts. The original Iron Fist character grew out of the kung fu craze of the 1970s. And whereas Luke Cage embraced its blaxploitation roots, Iron Fist did nothing with that kung fu style. Iron Fist should have had the best fight scenes of all the Netflix shows. 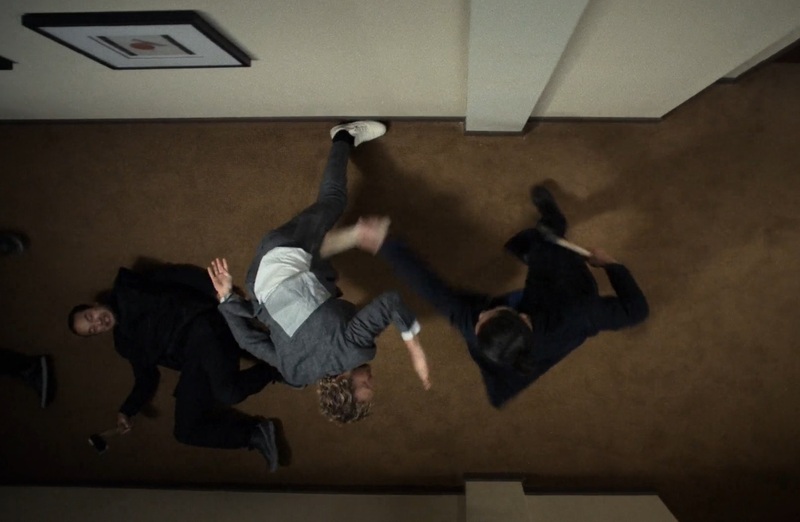 Iron Fist should have choreographed fight scenes and fighting moves the likes of which we’d never seen before. Hire the best fighters, choreographers, directors and cinematographers and go wild with big, exciting and explosive fight scenes. Anther great thing that Immortal Iron Fist comic did was luxuriate with all the cool kung fu moves that Iron Fist could pull off. Why not do something similar with the show? I’m just spit-balling here, but maybe dip into animation a little to showcase some of the cool moves Danny uses in his fights. Throw out some of those badass fighting move names. Get mystical and otherworldly in the fighting. Don’t just have Danny fight like a regular guy and occasionally punch people with a super strong, glowing fist, have him pull off moves that none of the other fighters have seen before. Kung fu is damn cool. And seeing truly skilled martial arts masters engage in elaborate fight choreography is hugely entertaining on TV. 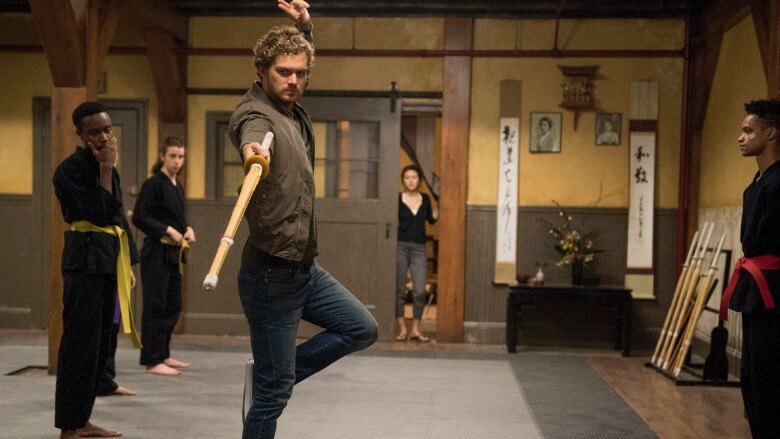 Iron Fist should have gone all in on the fight scenes and the character’s kung fu roots, but they didn’t, and the show suffered. Finn Jones was fine as Danny Rand, but it was the supporting cast that truly kept the show afloat. Returning players like Rosario Dawson as Claire Temple and Wai Ching Ho as Madame Gao were exceptional, so hopefully both return for The Defenders. Dawson is such a fun character and should make for a great foundation for the upcoming crossover. The Meachum family was a solid addition to the story with good performances across the board. 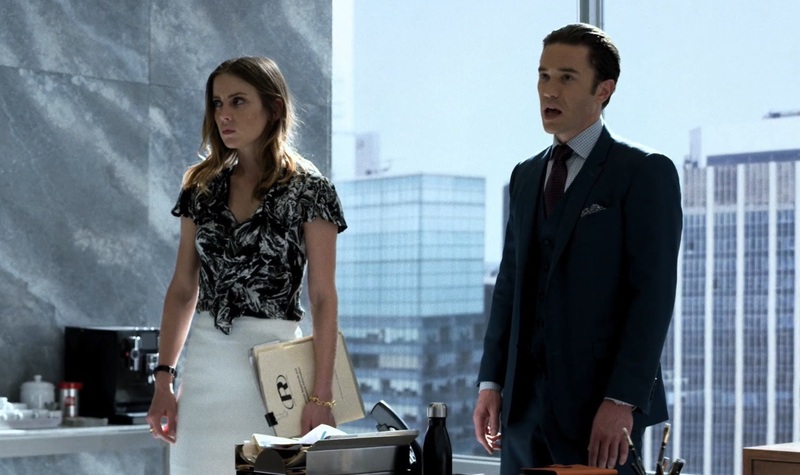 Tom Pelphrey as Ward Meachum had a great journey from beginning to end, with some solid character flaws and a nice redemption. Couldn’t tell from one episode to the next if he was our villain, but in the end he did the right thing by everybody. Jessica Stroup as Joy Meachum didn’t get as great a storyline as Pelphrey, but she was still a really good part. I would have liked her to have joined Danny’s adventure, especially after she had that brief sparring scene with Colleen Wing. Sacha Dhawan’s Davos was probably perfect. I look forward to his return in upcoming seasons as the legit Steel Serpent. His story was brief, but his journey from Danny’s friend to bitter rival worked perfectly. 1. Bring on Daughters of the Dragon! If Marvel isn’t already planning this show, they need to start. 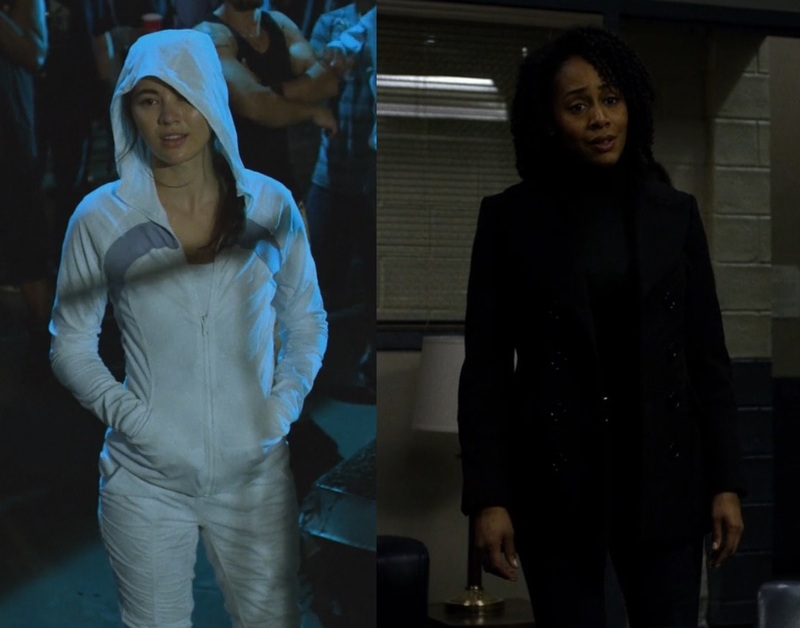 Henwick as Colleen Wing and Simone Missick as Misty Knight in Luke Cage were both standouts in their respective shows. And both of them are signed up for multiple episodes of The Defenders. Marvel needs to get these two characters together and see how they interact. And then Marvel needs to spin them off into their own show! Considering we’ve got a Punisher show in the works, Marvel has already set a precedent of making spin-offs of popular characters. Colleen and Misty are proving to be pretty popular. What did you think of Iron Fist? Like it? Hate it? Bored by it? Let me know in the comments! Posted on March 22, 2017, in Lists of Six!, Marvel, Television and tagged Danny Rand, Iron Fist, Netflix, Netflix Defenders. Bookmark the permalink. Leave a comment.